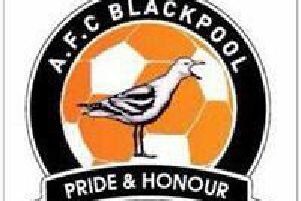 Bottom club Atherton celebrated only their second win of the season in Hallmark Security League first division north as Blackpool’s poor run continued. After a week which saw them thrashed 8-1 at Prestwich Heys and knocked out of the league cup by the south division’s bottom club, Ellesmere Rangers, AFC hoped to bounce back against an Atherton side who had lost 10 matches in succession, conceding 37 goals. But despite battling back from 2-0 down at half-time, AFC conceded a late winner and have now won just once in eight games. The home side dominated the early play and it was no surprise when they took the lead in the 19th minute, Bradley Aspinall flicking a left-wing cross in off the post. AFC finally had their first attempt on goal in the 27th minute, when Stephen Betteridge shot wide after good work from striker Ben Duffield. A minute later the home side doubled their lead as FC keeper Jonathan Broadstock failed to deal with a ball through the middle and Kyle Tomlinson scored from the edge of the box. AFC remained second-best for the rest of the half but improved playing down the slope after the restart. But their hopes receded further on 64 minutes, when defender Jack Taylor was sent off for flying into a tackle with his studs raised. However, the 10 men rallied and halved the deficit just three minutes later, when Mike Hall’s free-kick bounced back off the crossbar for Danny Pickering to head home from six yards. AFC equalised with 15 minutes remaining, Duffield going clean through and rounding the keeper before slotting home. Both sides went in search of a winner and Jake Dunford scored it for the hosts, firing into the top corner with eight minutes left. Atherton duly celebrated their first home win of the season, while AFC paid the price for a poor first half.